Come visit the new MBSU office! Hope everyone had a great summer! As you may or may not know the west wing of Stewart Biology is being renovated so the MBSU office had to move. Come visit the BRAND NEW MBSU office in the South Block of Stewart Biology S3/6B!! Office hours are 10:30-3:30 Monday through Friday. Everyone is always welcome to stop by, hangout out and enjoy the FREE COFFEE (bring your own mugs)! To actually get to the office you can enter through either South Block entrances and go up all the large staircases. When you get to the top, go through the door on the left and keep to your right down the hallway. 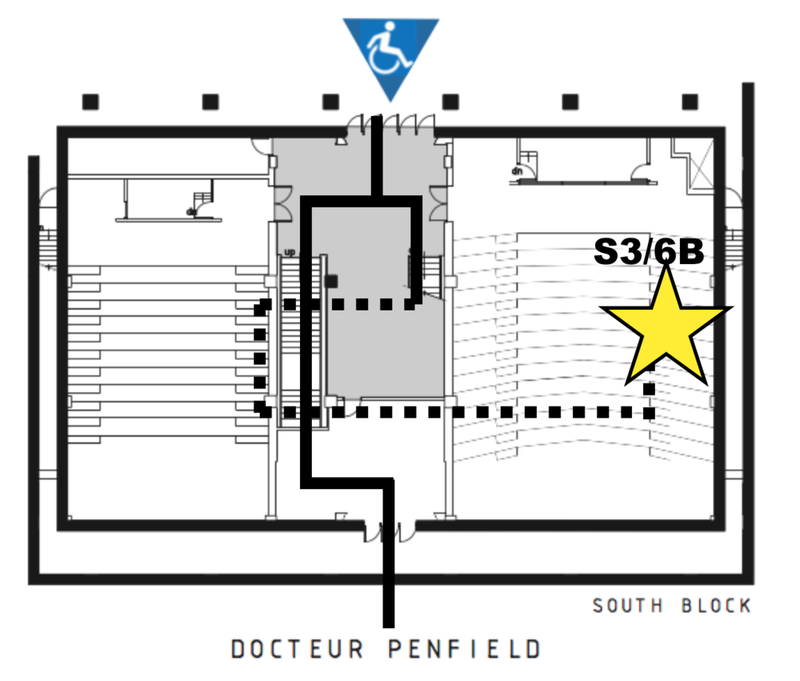 You'll find the new MBSU office on your right S3/6B! We should have signs up soon to help guide you guys. Hopefully the map below helps. Interested in learning about the biodiversity in our amazing city? 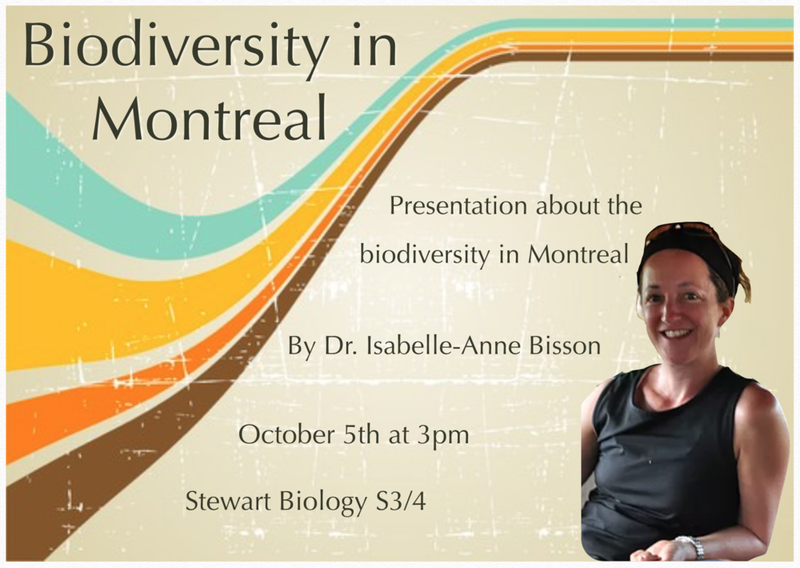 We have a talk on October 5th at 3pm in Stewart Bio S3/4 about biodiversity in montreal by Dr. Isabelle-Anne Bisson. Hey! Miss those dodgeball days in gym class? Join the McGill biology intramural dodgeball team, the Charles Dodgewins! Sign up here, theres a limited number of spots so first come first serve. Games are held on either Tuesday or Wednesday nights and there’s no cost. You don't need to come to all the games but please don't put your name down unless you actually intend to come to at least some because there are limited number of spots on the roster. It's a great way to get to know the other people in your major while playing a super fun sport, no athletic talent is required. Nour Kamal (Recent Biology Graduate) "It is such a sweet thing to be able to go to university and study whatever you like. #Blessed"
Annie Cameron (U2 Biology) "I’m just an F1 trying to make her P0’s proud." Zaf Ahmed (U3 Quantitative Biology) "Before my time at McGill, I was losing my curiosity and drive to ask questions.When I came here, I realized how fun it is to study biology. We get to ask all naïve questions, which no one really knows the right answers to. We get to talk about what we think could be the answers to our endless questions, and come up with ideas to find them! TL/DR: Stay curious."